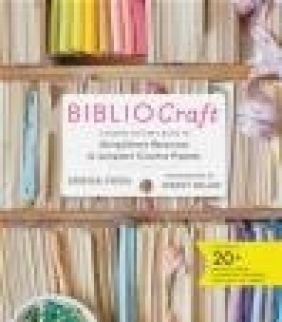 In BiblioCraft, Jessica Pigza shares her hunting and gathering skills so that creative's of all types can access the most inspiring resources, in person and online. Whatever the quest--historic watermarks, traditional Japanese family crests, historic millinery instructions--with Pigza's help everyone is able to find the inspiration they're looking for to bring their vision to life. In Part One of BiblioCraft, Pigza showcases the work of more than a dozen artisans who collaborated with her to explore an area of interest using library resources and then developed a project for the book accordingly. In Part Two, Pigza shares her best research know-how; explaining the roles of different types of libraries and how to make the best use of them, guiding users to the best online collections and how to access them and sharing search tips for using library catalogs.